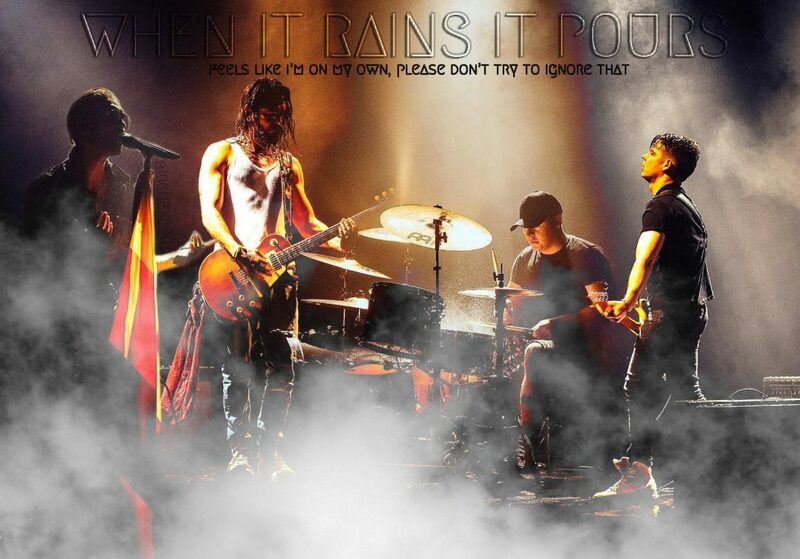 The band celebrated Durch den Monsun 10th anniversary performing in Baltimore on August 15, 2015 during Feel It All World Tour at Baltimore Sound Stage. It was scheduled another show on February 8, 2017 (Dream Machine Tour) but it was canceled due to immigration and logistic issues. One of the first awards won by the band. Tokio Hotel won Best Pop National Act in 2005 and 2006. Tokio Hotel performed three times in Catalonia’s capital during 1000 Hotels Tours (2008), Welcome To Humanoid City Tour (2010) and Feel It All World Tour (2015). The band coming back for Melancholic Paradise Tour in 2019. Personal assistant of Bill and Tom Kaulitz since Kings of Suburbia era (2014). It’s the 13th track of Schrei so laut du kannst album (2006). 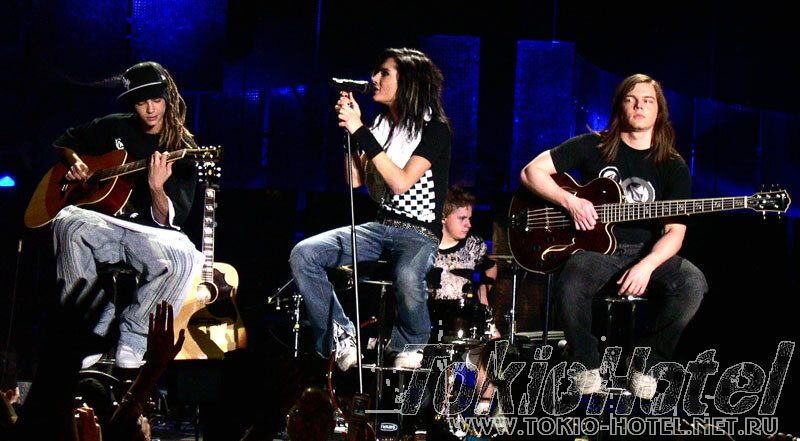 Tokio Hotel performed at The Dome 36 on December 10, 2005. He’s one of the German producers who worked with the band since their debut album until Humanoid (2009). He worked also on some Kings Of Suburbia tracks. The photographer and filmmaker of Tokio Hotel TV during Kings of Suburbia era and Feel It All World Tour, except for Russian leg. The German city in which the band performed the most throughout the years. They also shoot the most part of their music videos (Schrei, Rette Mich, Der Letzte Tag, Spring Nicht, Feel It All, Boy Don’t Cry, What If). The band coming back in Berlin for Melancholic Paradise Tour in 2019. The band released their first best of in 2010 included all their singles and other songs both in German and English. There’s also a deluxe edition included the two versions and a DVD with the music videos and some behind the scenes footage. The band perform in the Germany city on February 13, 2006 at Seidensticker Halle during Schrei Live Tour (2005/2006). Video director of Tokio Hotel’s Schrei music video (2005). The German newspaper that usually reports news about anything related to Tokio Hotel music. Frontman and songwriter of the band, twin brother of Tom. Born on September 1, 1989. Bill’s nickname for his solo project. The band performed for the first time in the Italian city during the Dream Machine Tour additional shows on November 13, 2017. Tokio Hotel coming back for Melancholic Paradise Tour in 2019. Tokio Hotel kicked off Feel It All World Tour part 3 in Bogota on August 20, 2015 at Teatro Royal Center. The band performed in Bonn on May 27 and 28, 2006 at Kunst- und Ausstellungshalle (Museumsplatz) during Schrei Live Tour. 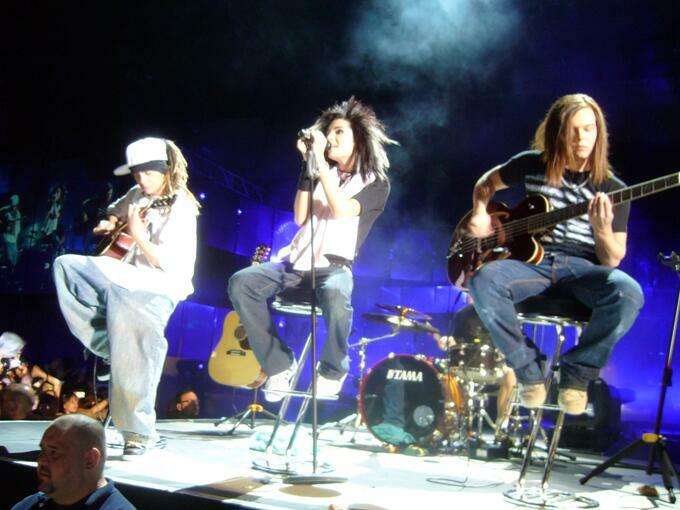 Tokio Hotel performed in the French city on October 23, 2007 during Zimmer 483 Tour at Patinoire de Mériadeck. 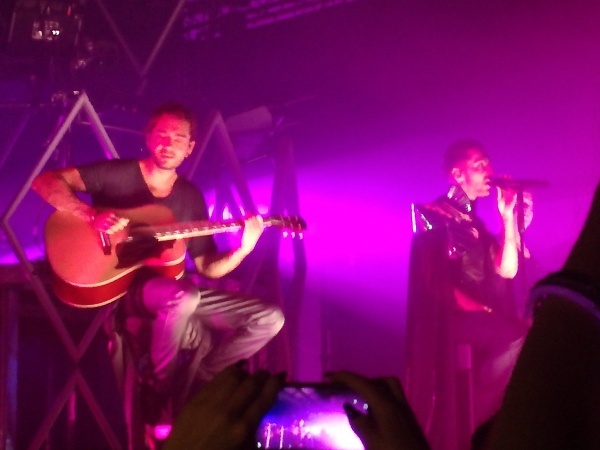 Tokio Hotel performed in the city on August 11, 2015 at Paradise Rock Club. It’s the second track of Dream Machine album (2017) and the third single of that era. The music video was shot in Berlin and shows Bill dressing up like a girl going dancing in a club. The song was included in Dream Machine Tour setlist right after Something New, just like the album tracklist. The band performed Love Who Loves You Back and Feel It All in front of Brandeburg Tor in Berlin on NYE 2014. Tokio Hotel performed in Bratislava on April 8, 2007 at Incheba during Zimmer 483 Tour. Andreas is Bill and Tom Kaulitz best friend and since 2014 he’s the art director of the band. He worked on Kings of Suburbia, Dream Machine and Billy’s I’m Not OK covers, tickets and merchandising for Feel It All World Tour. Tokio Hotel performed twice in the country. In 2010 and 2015. 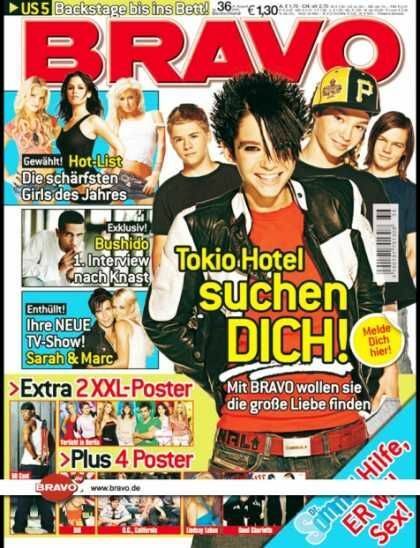 The first German magazine who dedicated the cover of Tokio Hotel back in August 2005. 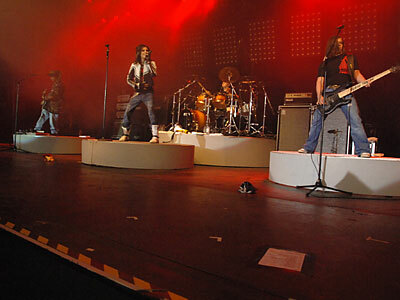 Tokio Hotel performed twice in the city, on February 8, 2006 and on April 29, 2007, both AWD Dome. Since 2007 Tokio Hotel performed five times in Brussels. Except for Schrei Live Tour, the band had a concert in the city for each of their tours. Before the Instagram phenomenon, Bill and Tom Kaulitz (BTK) launched this app in December 2011 showing exclusive contents and chatting also with fans. 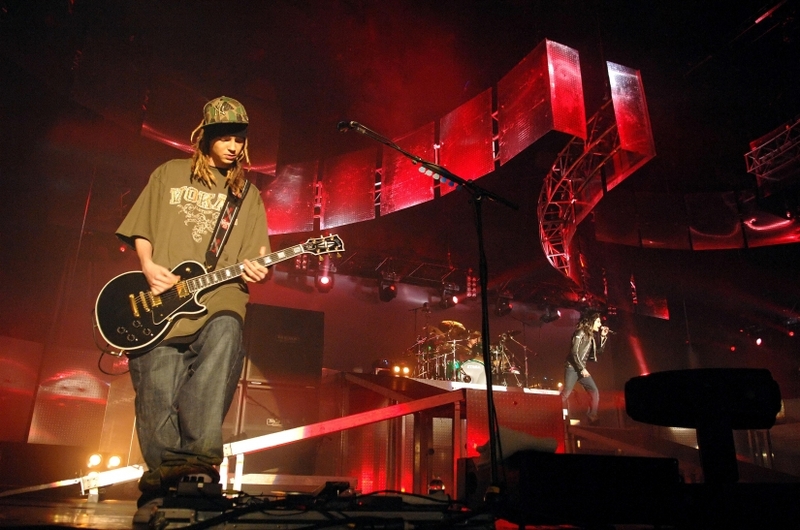 The band performed in Budapest on April 10, 2007 at SYMA Hall during Zimmer 483 Tour. After 12 years, Tokio Hotel coming back for Melancholic Paradise Tour in 2019. 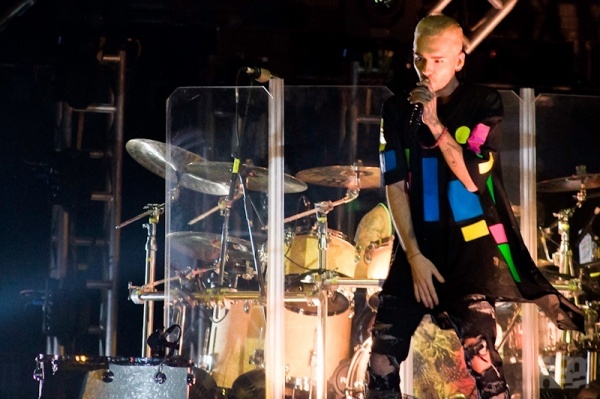 Tokio Hotel performed in the city on August 25, 2015 during Feel It All World Tour. The year before the band performed during Premios 40. German version of An deiner Seite, it’s the 12th track of Scream album (2007) and fourth single of that era. It was used as closing songs of 1000 Hotels Tour (2008) in all the European countries except for selected once like Germany and France.